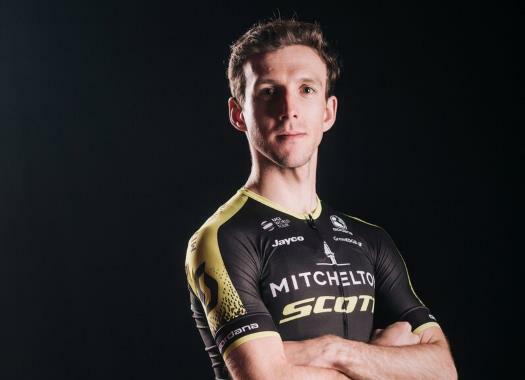 Simon Yates (Mitchelton-Scott) has taken the leader's jersey after the ninth stage of the Vuelta a España. The Briton stayed with the favourites' group at the first mountain stage of the race until almost the last moment. He crossed the finish line wat two minutes at 46 seconds from the stage winner Ben King and a few seconds behind a group that included riders like Nairo Quintana, Miguel Angel Lopez, Wilco Kelderman and Ion Izagirre, but despite that managed to take the Red Jersey at the end of the day. "It wasn’t expected for me to be in the leader’s jersey at the end of the stage today," he said at the finish line. "I was just trying to follow the best guys in the race and I was a little bit behind by a few seconds, so it is a bit of a surprise, but I am happy. A good surprise. "Being in the leader’s jersey is becoming a little bit familiar now and of course I am very happy, but like I said it wasn’t expected so as far as a game plan I will have to sit down with the team and discuss how we approach being in the jersey over the next few days." The riders suffered from the heat and the wind was supposed to play a big part on the day before the first rest day of the race. "On the final climb, it was exposed, and I would say the wind was a factor today, but not as much as we anticipated," Yates explained. "I had watched a video from 2011 and that looked like the wind caused more damage than anything else, but it wasn’t as strong as that today." "It’s difficult to say what I learned from the Giro d’Italia because I still don’t know why I cracked and if I did I would have learned a very valuable lesson, but we don’t know yet and that’s ok because every race is different."